As summers are approaching, everyone must be excited to plan the summer holiday itinerary. One of the main worry that comes to mind while planning for a holiday is to find a travel site with good travel deals and offers. I have been contacted by Gayathri Pillai , who wanted me to publish an article for her to let all my readers know of the recommended sites to keep in mind while travelling in India. I am sure the below information will be good while planning your dream destinations across India. Summer holidays are round the corner and I am quite sure most of you must be planning for a long vacation. It can be a fun-filled journey with friends to relieve yourself from the stressful office hours, or a relaxation time with your family as your kids must have done with their exams as well. Whatever it is, travelling makes you happy, relaxed and comfortable. Imagine what if you get a chance to travel to your most favorite destination at the most cheapest price? It is sure to be a wow! There are plenty of online travel sites that help you in having the most luxurious and comfortable journey. Have a look at some of the top online travel sites that ensure that their customers get the best comfort while they travel. Musafir is one of the best online travel sites that caters all the travel needs of its customers in the most luxurious and comfort way. Right from booking your flight tickets (both domestic and International) to your accommodation at the most reasonable hotels, Musafir can be your ideal choice. They also help in deciding your holiday, making you pick the right choice for the kind of holiday you really want to have! They have a wide choice from both Indian as well as International places. They are the best when it comes to Business travels. 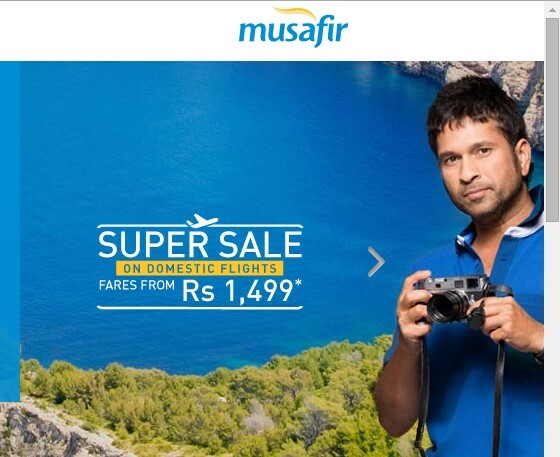 Look for Musafir Coupon Code if you are planning to book your journey for this summer vacation to avail great discounts in your expenses. Pay less for your tickets and shop more where you travel! RedBus is also yet another online travel site that helps you in getting your bus tickets at the most affordable rates. You can also book your hotels for accommodation along with your travel, thus ensuring a comfy journey. or any other luxury buses for just Rs.99 for a journey to selected places from Ahmedabad. You can book your tickets till March 31and the journey will be valid till April 7. Look for RedBus Coupon Code for availing attractive discounts on your tickets. You can also look for RedBus offers and discounts for enjoying a luxurious travel at the cheapest price guaranteed. 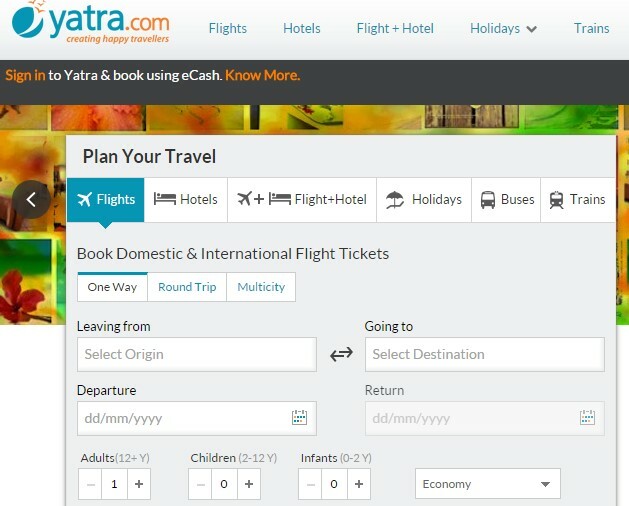 Alike Musafir and RedBus, Yatra is also one of the most trusted online travel sites in India that helps its needy travelers with the best and affordable travel facilities including booking tickets for flights, bus, trains, accommodation at reasonable hotels, planning the most reasonable holidays for you and lots more. Look for Yatra Coupons, offers and deals for availing attractive discounts on your travel package. Now, you have many reasons to plan a wonderful journey. Book your tickets now and enjoy one of the most memorable journey in your life!